Hey SWA crews! This is the app you want! Finally, everything we need right at your fingertips! 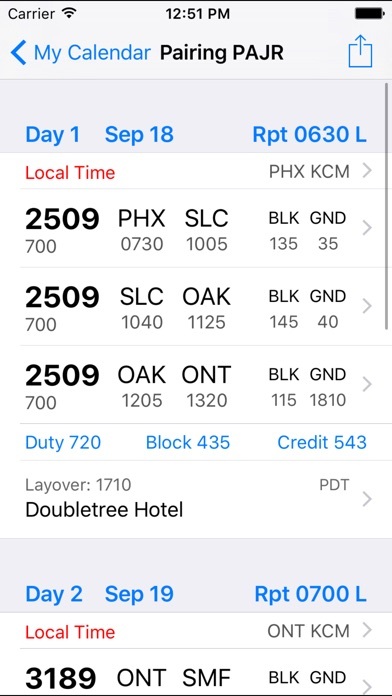 Just tap a trip and you instantly have access to flight status, weather and all overnight info including KCM! Want to share your schedule with friends? No problem! CrewBuddy easily allows you to share and view your schedule with anyone you chose! Now CrewBuddy will even show if you have an overnight coming up with a buddy! 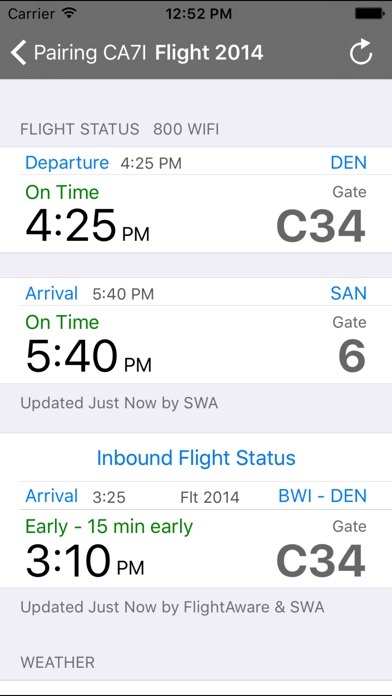 CrewBuddy easily syncs your trips with iCal and makes it a breeze to email or text your trips to your friends and family. 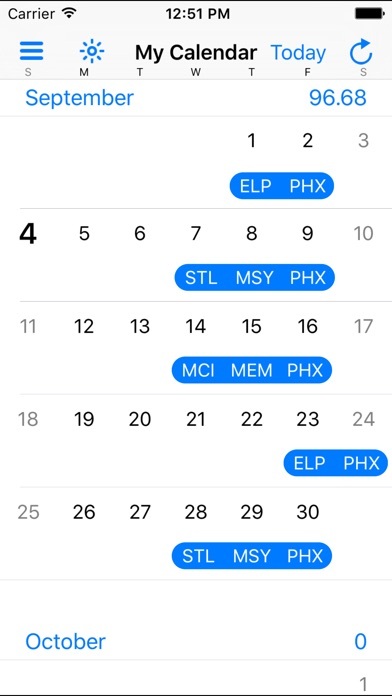 CrewBuddy will sync with any calendar including Google, Exchange, Yahoo!, etc. Download CrewBuddy today and get all this and more! You're gonna love it! The scheduling function of the app is completely free to use. 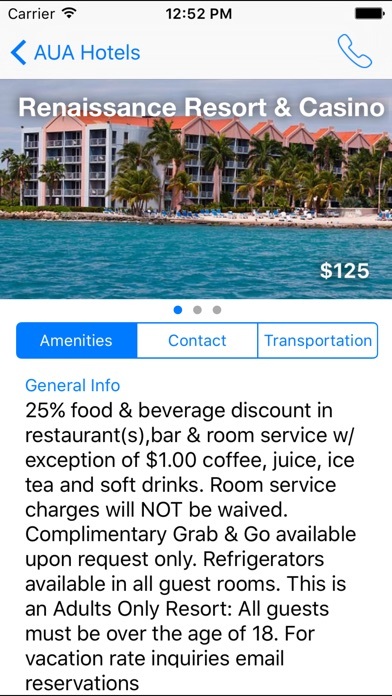 An in-app purchase allows you to access the Hotel Publication and all remaining features. To make it easy for you, the in-app purchase is set up as auto renewing so you can set it and forget it. It can easily be cancelled at any time. CrewBuddy Hotel Publication and additional features fine print: - Two subscription options are available. Monthly and Yearly. - Price of subscription is $2.99/Month or $24.99/Year. - Payment will be charged to iTunes Account at confirmation of purchase. - Subscription automatically renews unless auto-renew is turned off at least 24 hours before the end of the current period. - Account will be charged for renewal within 24-hours prior to the end of the current period, cost of renewal will be the same as when first purchased. - Subscriptions may be managed by the user and auto-renewal may be turned off by going to the user's Account Settings after purchase. - Visit http://wapitisoftware.com/privacy for privacy information. - Any unused portion of a free trial period, if offered, will be forfeited when the user purchases a subscription to that publication. Nice job on the large (girth) screen size ! “The App has significant value - But it looks dated, and it feels like the developers would rather spend the cash than update the U.I” Edit - Nice job on the bigger screen update. The developers contacted me and let me know that an update was in the works. Now it’s here. Thank you. Nice job ! It would be nice to have a iPad screen compatible version. It would look much nicer and cleaner when using ipad. Great work adding the monthly cap to the calendar view! Thanks for all the great updates! Keeping up with Apple changing iOS is no small feat. All the little problems have been fixed. Thank you! Great app with a lot of information! Perfect way to access my schedule without having to log in to the company website every time. UTC would be nice addition. The developer is easy to contact and responds quickly if there’s ever an issue. I wish all our work apps were this easy to use & informative. App is great. Just one update I would hope for is that airportstandby check in times would populate when clicked on. This is a great app for crew. I would like to see in a future update a place for notes on each trip. We can write notes for hotels and crew, but not for a particular trip.